No, that's not a bad pour - that's what you want with a good San Diego Pale Ale. All of the fantastic aroma is up there in that white, lacy goodness. And since it was poured at home, there was no worry about getting maximum volume in the glass. 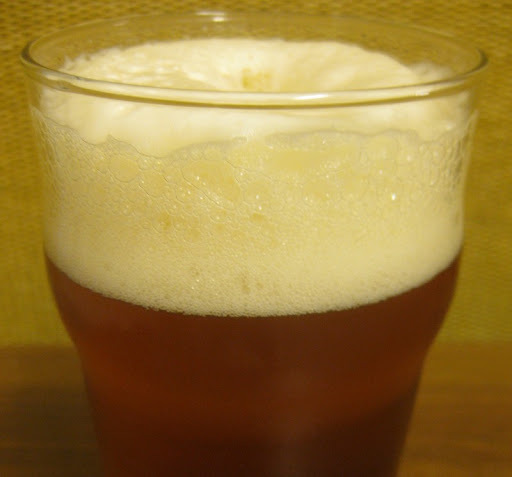 But enough about pouring - the beer is O'Brien's IPA from Alpine Brewing Company. Named for the fantastic San Diego pub of the same name, this beer is currently (in my opinion) the best offering from the best brewery in the best brewing county in the country. The beer was reportedly inspired by Russian River's Blind Pig. I tasted them side-by-side yesterday (at, quite appropriately, O'Brien's), and I can definitely see the similarity - they both have an amazing citrusy hop aroma that carries over nicely into the taste. I think I like O'Brien's IPA just a bit better, though - it has just a touch more malt sweetness. 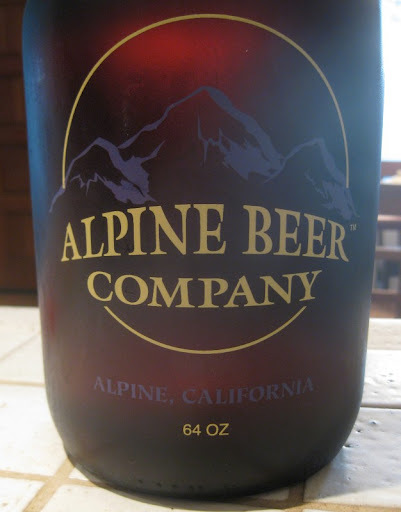 I've raved before about how reasonable Alpine's growler prices are. Our recent fills of O'Brien's IPA were only $8.59. Amazing. I just wish they had this beer available more often - they seem to be making it a couple of times a year and the generally sell out in just a few weeks.